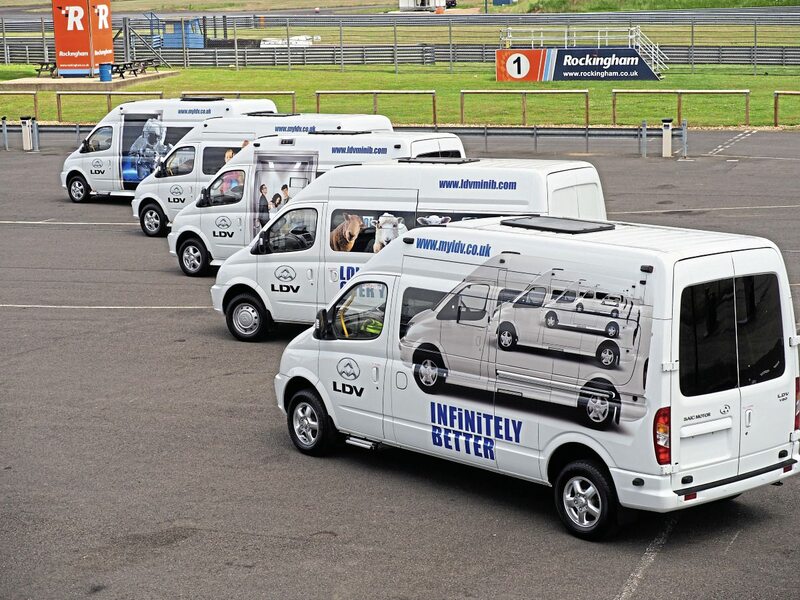 The Higer Super 9XL launch ran in parallel with a full line-up of LDV V80-based Mini B minibuses, all converted by Joe Ferry at Euro Coach Builders. The range includes front-entry and side entry versions, with up to 16+1 seats on two lengths – a 5700mm and 6100mm, both high-roof. The base vehicle has VM Motori’s 2.5-litre turbocharged in-line four producing 136bhp. 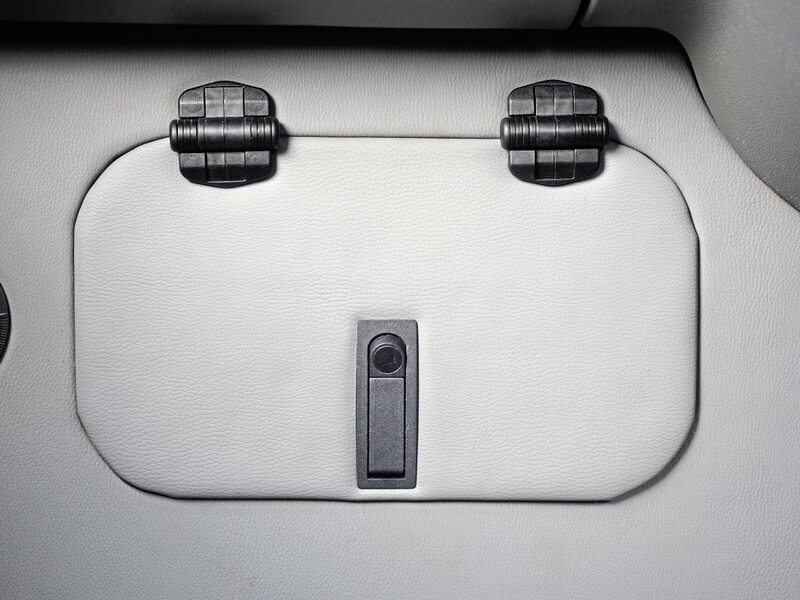 A six-speed manual gearbox is offered as standard. The vehicles are up to 3.8t gross. Seats are from Prime Seating, in a variety of styles and fabrics, installed in flat, easy-clean floors. On both front and centre doors, an automatic Thule step is deployed. In the front-entry, Euro Coach Builders has cut an additional step into the floor. A wheelchair-accessible version is available with a 400kg inboard wheelchair lift. 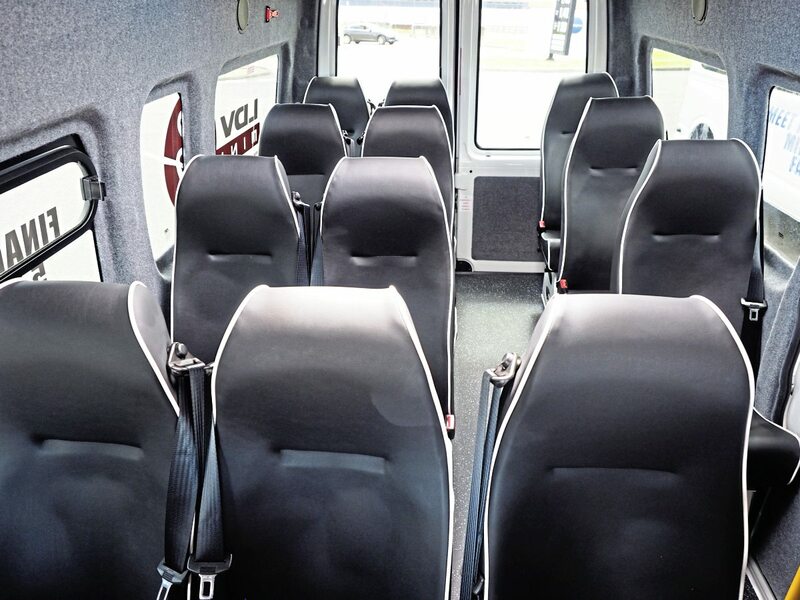 In this guise, the seats are equipped with NMI lock-and-roll anchors to move or remove seating. The launch examples were competent, basic conversions. In one version, the rear doors had been blanked but the other was direct-glazed and had a more spacious feel. All the conversions featured extensive use of grey carpet to line the walls and over added partitions. Additional storage spaces had been covered in leatherette. 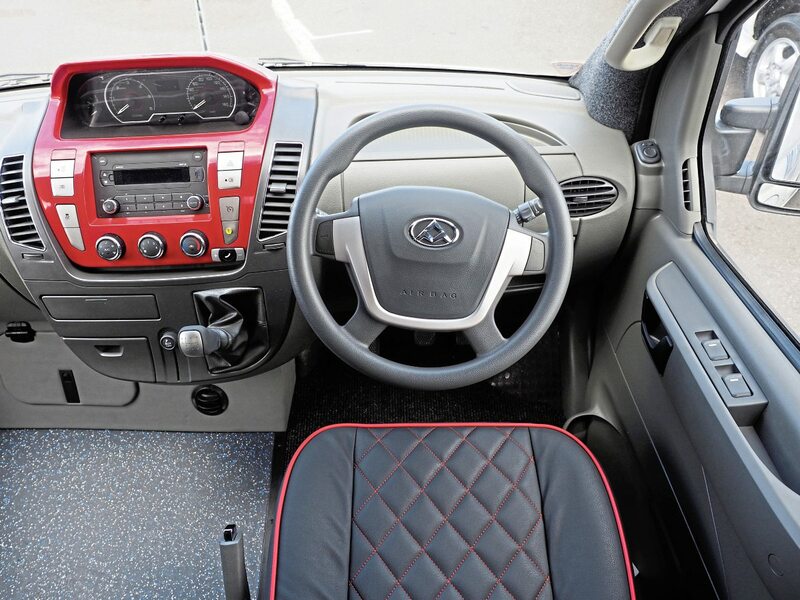 The base vehicle comes with manual gearbox and is fairly basic but in addition to a Stoneridge tachograph unit, the converter has added latched alarms for the door and step, additional storage space and the range is offered with optional 21-inch monitor, USB charging, alloy wheels, CCTV, reversing camera and wifi. The most eye-catching Mini B at the launch was the all-electric version, which spent all day on the track being road tested. Range is around 200km, with DC charging in under an hour possible. The target market is city vehicles with average range demands, such as community transport operators and council services. 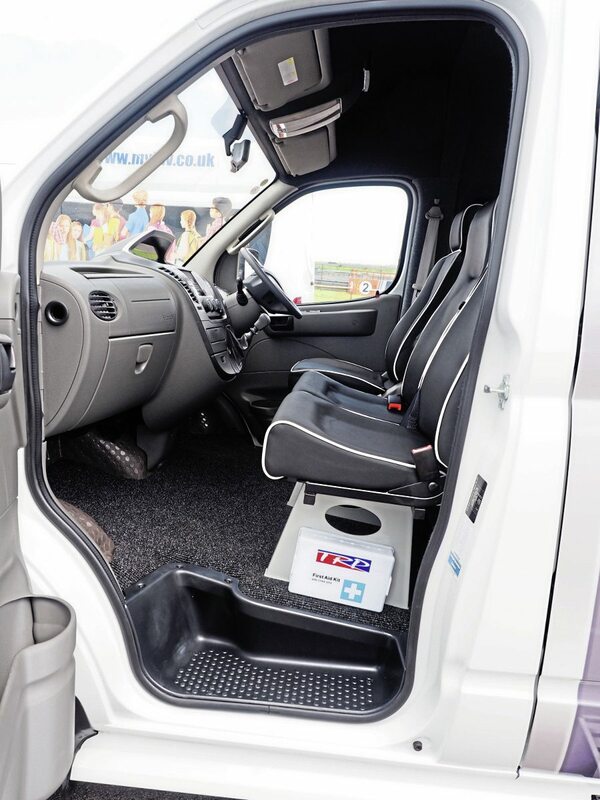 At the price point we expect for the V80-based conversion offered by Harris Auto, we believe there will be a ready market for the range at schools, some private hire and in community transport. Of course, the engine from the jointly DaimlerChrysler/Fiat-owned VM Motori may be oddball in this sector but it’s the engine in the TX4 taxi and a variety of Chrysler cars, plus off-highway vehicles, and with its parenthood, is expected to be reliable. Its Convoy alumni from the old days of LDV had a reputation for being dependable, simple but a little agricultural. 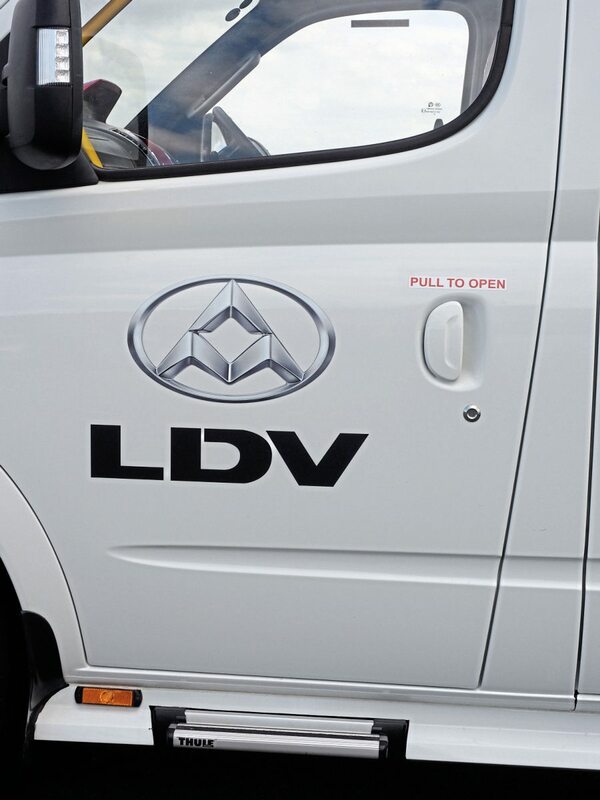 Though a great deal of additional sophistication and attention to detail has gone into this Chinese-owned base vehicle, which started life as the Maxus, the central tenet of LDV sales has not been lost on the current manufacturer. 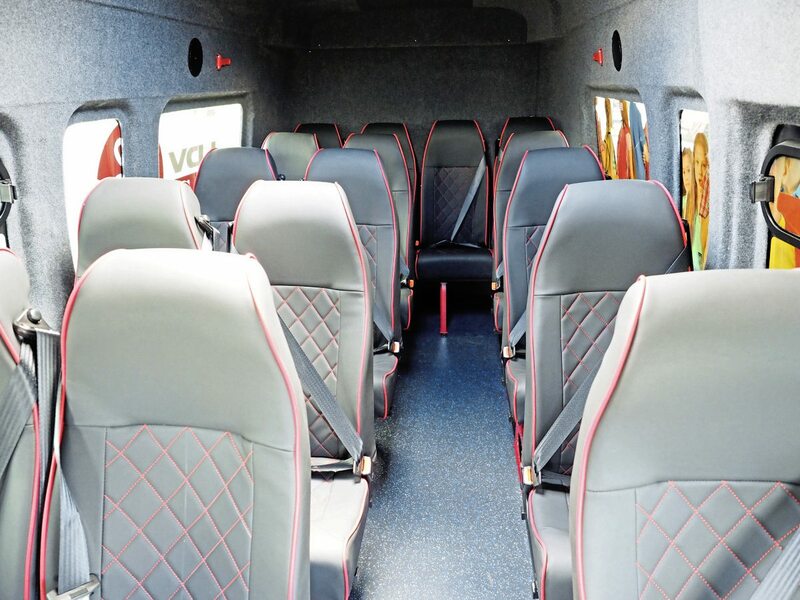 This is vehicle ownership from a low base price and despite the conversion work by Euro Coach Builders, it’s doubtful there is a less expensive 16-seater in the market. But it certainly wouldn’t cut the mustard with all hirers. The conversion uses a large amount of plywood and grey lining carpet, and the deletion of the sliding door, on the front-entry, and the rear doors has been done in a way which cuts costs but won’t win design prizes. But a minibus at a low price with a five-year warranty? For some operations, what’s not to like? The EV version of the Mini B is a whole new ballgame. If ever there was a barrier to entry into the desirable (for some) EV market, it’s price. If Harris Auto can ship this intrinsically simple and useful vehicle with a likeable tag, it could snap up the early adopters in the sector.